Dr. Miguel Arango chaired the second LatinNeuro meeting recently in Colombia. The event is a gathering of medical professionals from Colombia, Panama, Ecuador, Guatemala, Argentina, Uruguay, Dominican Republic, Mexico, Peru, and Bolivia. The 2018 meeting saw 183 participants from these countries. From our department, Drs. Angela Builes, Mauricio Giraldo and Isabel Arias (former Neuroanesthesia fellow) were also part of this initiative. LatinNeuro is an interest group that was created about ten years ago. The intentions of the group are to create guidelines for neuro-medical procedures that will be distributed throughout Latin America. Additionally, the group develops guidelines for neuroscience education, such as what should be learned and how it is to be taught. 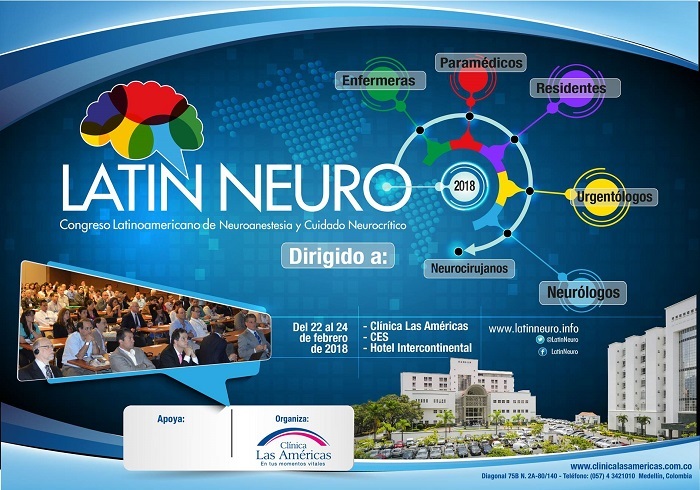 The LatinNeuro meeting is the first (and only) independent specialized meeting for Neuroanesthesia in Latin America. The group launched their meeting after a need was identified to standardize neuro-medical practices and education in the region. 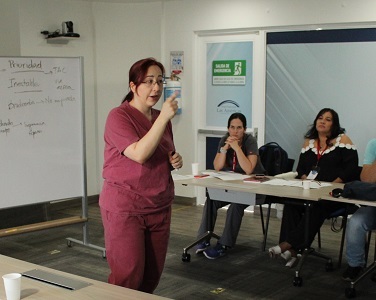 Prior to these meetings, there was no known place in in Latin America where they would teach neuroanesthesia.